In the late nineteenth century, as cities like Boston and New York grew more congested, the streets became clogged with plodding, horse-drawn carts. When the great blizzard of 1888 crippled the entire northeast, a solution had to be found. Two brothers from one of the nation's great families-Henry Melville Whitney of Boston and William Collins Whitney of New York-pursued the dream of his city digging America's first subway, and the great race was on. 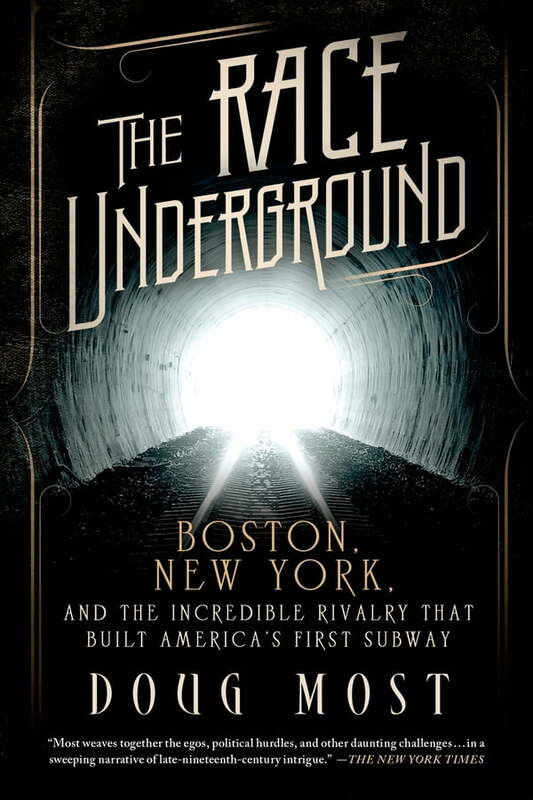 The competition between Boston and New York played out in an era not unlike our own, one of economic upheaval, life-changing innovations, class warfare, bitter political tensions, and the question of America's place in the world.The Race Underground is peopled with the famous, like Boss Tweed, Grover Cleveland and Thomas Edison, and the not-so-famous, from brilliant engineers to the countless "sandhogs" who shoveled, hoisted and blasted their way into the earth's crust, sometimes losing their lives in the construction of the tunnels. Doug Most chronicles the science of the subway, looks at the centuries of fears people overcame about traveling underground and tells a story as exciting as any ever ripped from the pages of U.S. history. The Race Underground is a great American saga of two rival American cities, their rich, powerful and sometimes corrupt interests, and an invention that changed the lives of millions.